Scrapbooking is rapidly becoming one of the most popular hobbies among women and mothers. Beginner Scrapbooking equals a scrapbook album, some paper, embellishments like die cuts, stickers, brads and eyelets, lots of photos and a vivid imagination. First, scrapbook supply stores usually have employees who are trained to help beginner scrapbooking customers with “the basics.” These specialty stores often offer classes that are either free or require a minimal fee to attend. Lots of stores host midnight crops and beginner scrapbooking classes. 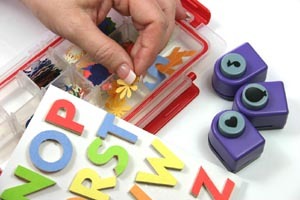 Another option is to search the Internet for tips and information about beginner scrapbooking. There are hundreds of scrapbooking sites with information about scrapbooking, how to get started scrapbooking, scrapbooking for beginners, what you need to get started scrapbooking, beginner scrapbooking, etc. The worldwide web is a great source when it comes to all aspects of scrapbooking. One more suggestion is to contact an independent scrapbooking consultant or attend a home party. If there is a certain company or products that you are interested in then you can either contact a consultant for that company or attend a home party. Often times the independent scrapbooking consultants have workshops or open houses where you can learn some beginner scrapbooking fundamentals and make a project to take home. Once you have found the information you need to get started scrapbooking then you should get organized. The first thing to do is to organize your pictures. You can do this by sorting them by year, event or person. If you need to get them off of your computer, try using Shutterfly.com . They have never let me down on developing quality pictures for me. 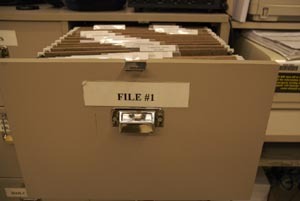 Your pictures can be filed in photo boxes or containers ; they should be stored in something that is photo-safe. When you have your pictures organized then start buying papers and embellishments for your pages. Purchase items that will help you tell a story about your pictures. If you know what kind of page layouts you want then you can even put the paper, embellishments and pictures in one bag together ready for when you create your layout. Grouping your items together will help you to have everything in one place and prepared for assembly. Scrapbooking page layouts can be designed any way you choose there is no right or wrong way to create a page layout, but an appealing page layout typically has a few important elements. Balance, motion and dimension are some basic elements that should be included on your scrapbook pages. In order to balance your page, arrange your photos and decorations so there is an equal amount on each side of your paper. It helps to imagine your paper as a scale; would each side weigh the same? Motion is the way your eye moves across the page. You want a natural motion which typically moves in a “Z” shape. When you look at your pages do you scan it in this motion or is it too chaotic? Dimension on your page is an added bonus. Using embellishments like brads, eyelets, paper flowers or dimensional stickers will help to give your pages character. The most important aspect to an attractive page layout is to have a focal point (photo), balance and natural motion. Some other page basics for beginner scrapbooking include cropping and matting photos, journaling and color combinations. Cropping a photo is simply cutting out unimportant clutter. Photos look best if they are cropped evenly and into square or rectangular shapes. When matting a photo you want the photo mat to be slightly larger than your photograph so it can accent the picture and make it “stand out” on your page. Journaling is extremely important for scrapbook pages. This is where you can express your feelings about the event or occasion and record vital information about the person or people in the photos. Color combinations are important in order to make striking scrapbook layouts that you will be proud to display in your albums. Scrapbook tools are another vital part of scrapbooking. Basic tools for beginner scrapbooking are items such as sharp scissors , tape runner adhesives and a paper trimmer. Other tools that are helpful, but not necessary, include scrapbook punches , eyelet setters , decorative scissors and a heat tool for embossing. Fancier tools like die cut machines including the Cricut , Sizzix or Cuttlebug Cuttlebug are tools that are helpful when it comes to creating “designer pages” from scratch. These die cutting machines will cut letters and shapes to accent your page layouts. Each tool serves a unique purpose so if you are a beginner to scrapbooking, your best bet is to decide what you can’t live without and then build your collection slowly. All scrapbook tools can be purchased at various craft supply stores, scrapbook supplies store and online retailers. Scrapbooking is all about preserving memories and creating a treasured keepsake for future generations to enjoy. There are hundreds of possibilities when it comes to scrapping those precious moments you captured on film. The scrapbooking industry has developed hundreds of tools to help you with your album pages. Starting simple is the best way to ease yourself into the vast “world of scrapbooking”. Avid scrapbooker, freelance writer and mother of 4 children. She is an independent consultant for Close to my Heart ( www.loveyourstamps.myctmh.com ) the scrapbook guru for LifeTips ( www.scrapbook.lifetips.com ) and the author of LifeTips 101 Scrapbook Tips (available online at Amazon and Barnes and Noble). Create impressive looking scrapbook titles...without stencils!